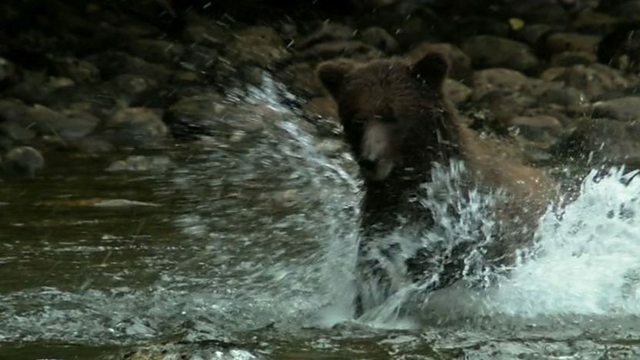 Chris Packham watches the annual spectacle of grizzly bears gorging themselves on salmon. The fish return to the rivers of their birth in order to spawn. But by hunting them, the bears spread the salmon nutrients deep into the forest.